Show us how we can contribute to save the planet by showering more responsibly! Did you know that the environmental footprint of a hot 10 minutes shower is similar to a 10 km car drive? 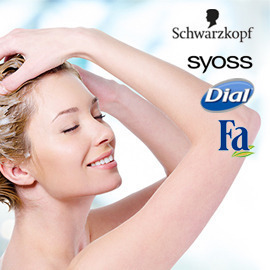 There is much we can do while taking a shower, for example using less hot water or turning the tap water off when you lather with shampoo or body wash. Henkel, a leading manufacturer of beauty care products, needs your help. We want to convince people that changing their showering habits can have a positive impact on our environment – and that you can have fun at the same time. Create an original, very entertaining and surprising and never seen before video with viral potential, showing that showering responsibly can be fun, joyful and most importantly can help to save our planet! Format: Video or animation, 60 seconds maximum. Five best entries will be awarded with up to EUR 30,000! Henkel - “Shower responsibly” winners are here!